Are nonprofit schools a better deal for returning veterans than for-profit schools? A study by the Mississippi Center for Justice finds that since the 9/11 terrorist attacks, 14 percent of $83 million in GI Bill funds spent for education in Mississippi went to for-profit schools, but those schools enrolled only 7 percent of student-veterans. Veterans spent $2,933 per student more at for-profit schools than at private nonprofit schools, $11,900 more than at community colleges, and $10,321 more than at traditional public colleges and universities. There are also apparently significant differences in graduation rates. For example, the Jackson campus of Virginia College, a for-profit institution, showed a three-year graduation rate of 25.6 percent, while the Jackson-based Millsaps College, a private nonprofit, had a 66 percent graduation rate. The president of the Jackson campus of Virginia College, Milton Anderson, fired back that his school, ranked third by the Military Times as “best for vets” among career and technical colleges in the U.S., publishes the job placement rates for its graduates, charging that his nonprofit competition does not routinely do so. Anderson says that the Virginia College system’s placement rate for veterans was 74 percent in 2011, and 79 percent in 2012. We wonder about the aptness of comparing Millsaps and Virginia College. 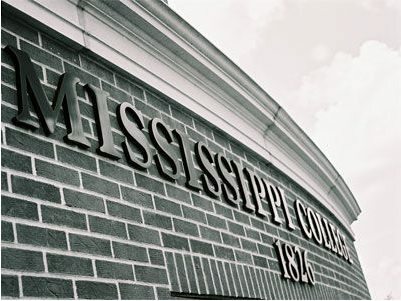 Millsaps seems to be a small liberal arts college with fewer than 1,000 students, 98 percent of whom attend full-time. It advertises its openness to veterans, accepting VA GI Bill, ROTC, and National Guard educational subsidies and incentives. Virginia College looks much less like a traditional liberal arts college and more like a technical or vocational college, offering a number of associate’s and bachelor’s degree programs in areas such as culinary arts, medical office management, cosmetology, HVAC systems and repair, and office administration. It has campuses (or at least, some sort of program locations) in what seems to be 11 states in the Southeast. On its website, Virginia College makes an effort to portray itself as veteran-friendly, even offering potential students a list of military student counselors, all but one of whom appear to be veterans themselves. Correction: An earlier version of this article misstated the amount of GI Bill funds spent for education in Mississippi. The typo has since been corrected.